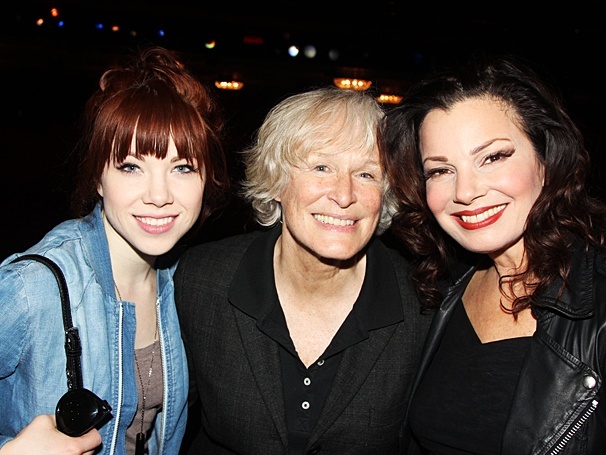 Cinderella stars Carly Rae Jepsen (Cinderella) and Fran Drescher (Madame) flank Glenn Close. Tony winner Glenn Close visited the royal kingdom of Cinderella on April 19! See her meeting the stars, then catch the Rodgers and Hammerstein musical at the Broadway Theatre.